Payment Terms : 30% deposit ,T/T, balance paid before shipment or L/C ,D/P. 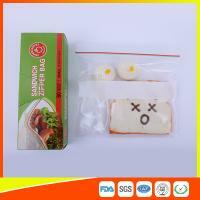 Our zip lock bags have very high security level which are nontoxic and can bear different temperatures,and can be used in refrigerator,microwave oven and so on. High quality nontoxic PE material has very good transparency and wear resistance. 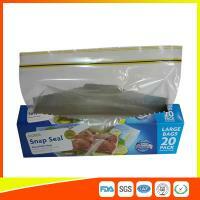 The zip lock bag can be repeated used until damaged and is with very good toughness. A humanized anti-skidding design is used at the opening of the bag. 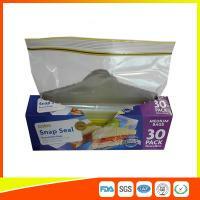 Material LDPE 100% virgin material,eco-friendly,safe for food contact. 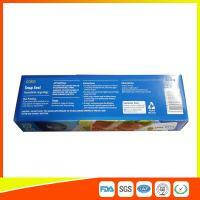 Advanced technology support Excellent barrier against moisture, oxygen, light to keep food a long time. Payment 30% deposit ,T/T, balance paid before shipment or L/C ,D/P. 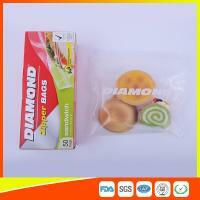 Packing 100pcs/bag, 10bag/carton or as customer’s requirement. Our processing technology is carried out under the temperature of 140 centigrade without touching any substance outside.It can be used to hold food directly. 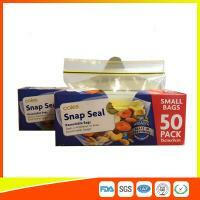 Food can be put into the zip lock bag without washing the bag to keep fresh. Our raw materials are brand new imported with thick bag body.The sealing can be used up to fifty times.The zip lock bag can be repeated used after washing and drying as long as the bag is undamaged. Markets worldwide more than 35 countries from Middle East, North and South America,Europe,Oceania and Asian areas. 1. What information should I provide to get your quick quotation? - if you need us to quote you the price with the shipping cost, please inform me your address or port. - If you have special requirement, please help to inform me. 2. Can I print my logo or drawings ? A: Absolutely ! Send me your drawing design , like AI ,CDR, EPS, PSD documents etc. we all can print them on your bag , therefore the bag will be your own pattern ! 3. What’s your material ? A: The main material is LDPE.LDPE (Low Density Polyethylene), It’s the largest consumption material for packing products in the world, the bag urface is bright, transparent, soft touch ,and soft sound. 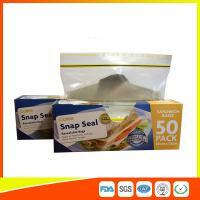 mainly for preservative film, shopping ,food, cloth, gift packing etc. 4. can I get the samples? 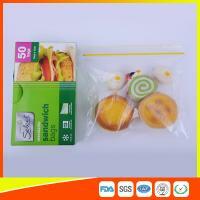 It is ok for us to prepare 20 pcs samples (without printing) as the size you need for free. 5. Is your price lowest? Xiamen Huli Fengyi Industry Co.,Ltd established in 1997 is a enterprise in China that specializes in manufacturing Plastic bags,Cling film and Alumnium foil. In the past years, Fengyi has done great efforts on quality control system upgrading. Now Fengyi is well known in Xiamen as one of the leading and professional manufacturers in this field, which has its own factory and experienced technicians. 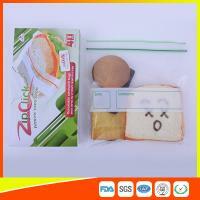 Its products have been widely exported to many countries including Australia, Janpan and North America etc... Our main products include: (1) Household ziplock bag, Resealable sandwich bag/Freezer bag /Snack bag/Storage bag /Ecoration bag(2) Industrial ziplock bag, Medicine bag/Industrial packing bag/Composite bag (3) Cling film/wrap (4) Aluminium foil. Our company is located in Huli district, Xiamen city which is a very famous beautiful seaside city in South of China, besides we are with convenient transportation: about twenty minutes to the International Airport and one hour to the Xiamen sea port. Currently our company has more than 300 workers, 80 of them are professionals. We total cover an area of about 8500㎡, including 500㎡ office area and 8000㎡ workshops. Our company always focus on Solidarity, Sincerity, Innovation and Development, and we has been approved by the certificates of FDA, BSCI, QS,ISO9001-2008, ROHS, SGS, REACH. by virtue of stable product quality, reasonable price and quality service to become the most reliable partner partners. If any of the items be your interest, please feel free to contact us. We'll give you our competitive quotations and do our best to meet your requirement. 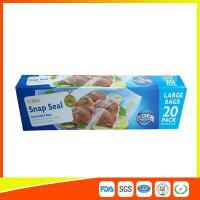 We promise you the superior quality with competitive price.